With us, calmness, harmony and our dog philosophy are in focus. Here you will learn how to handle the dogs in our way, where energies and meditation are important elements. Before we set off you get a proper driving lesson. Two people share a team of 4-6 dogs and take turns driving. 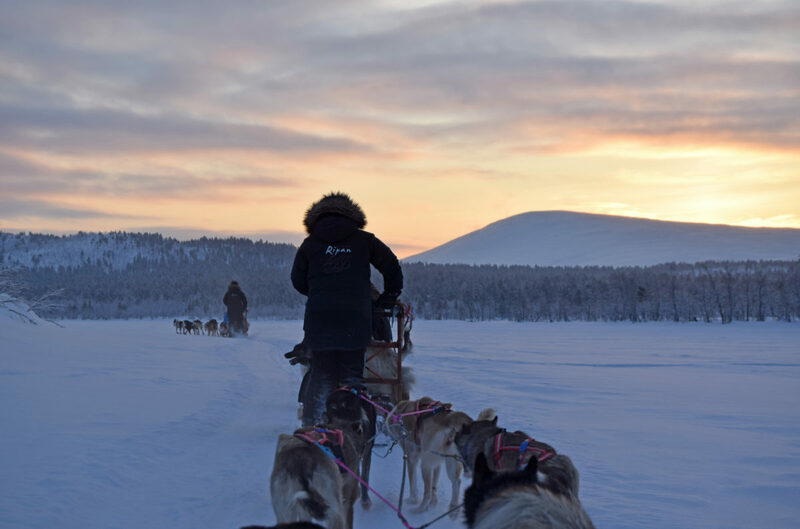 Excitement and concentration when driving, combined with the relaxing experience of sitting in a sled. Back at the kennel, everyone helps to massage the dogs, a great way to meet our, and the dogs’ needs, of cuddling. After the massage we invite you for lunch in our home. Overlooking the River Kalix and the mountains, fantastic meetings are held around our kitchen table. 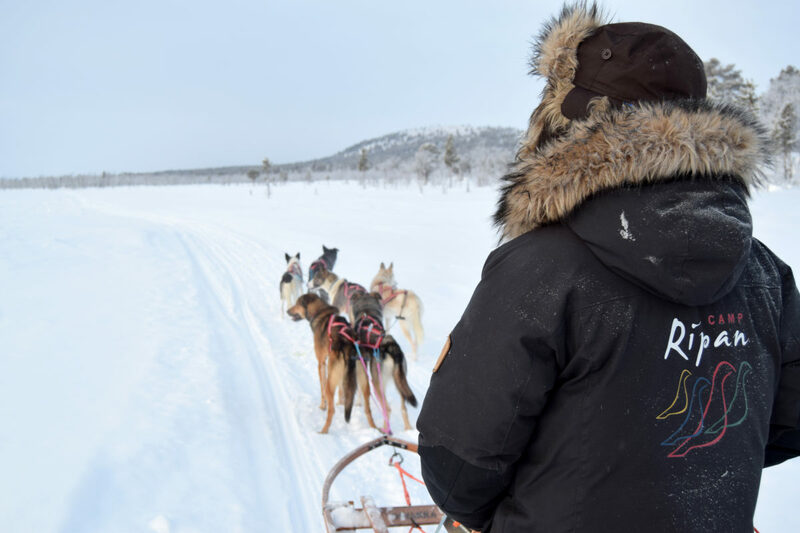 The trip goes along the River Kalix with a great view of Mount Kebnekaise in clear weather. We have groomed trails but as we are surrounded by mountains, the weather and conditions can change quickly. This contributes to the authentic experience. As we live outside the big tourist areas, it’s common that all we encounter on the tours is moose. 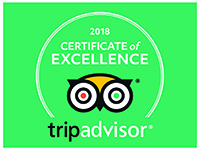 All our guests must speak and understand English. 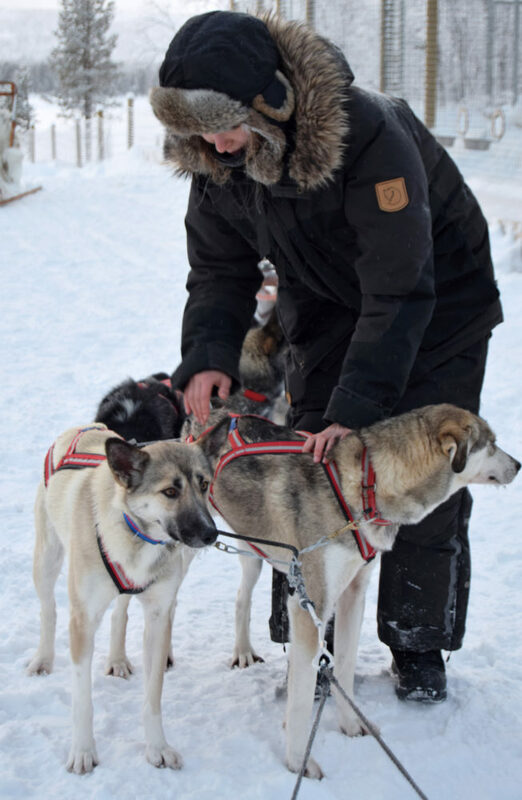 If we feel that the guest does not have sufficient language skills to understand the guide’s instructions, the guest will get to sit on the guide’s sled. We can also offer German and French speaking guides. Price: 1 995 SEK/person, minimum age 16 years. Numbers of participants: Minimum 2 people, maximum 8 people. Departures: Daily, at 08.30–14.00, December–April. Note: All our guests must speak and understand English well. 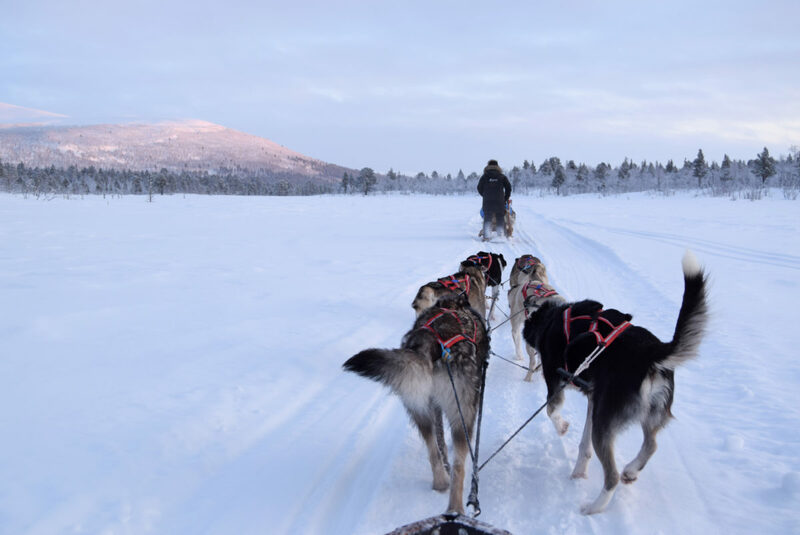 If we feel that the guest does not have sufficient language skills to understand the guide's instructions, the guest will get to sit on the guide's sled. We can also offer German and French speaking guides.